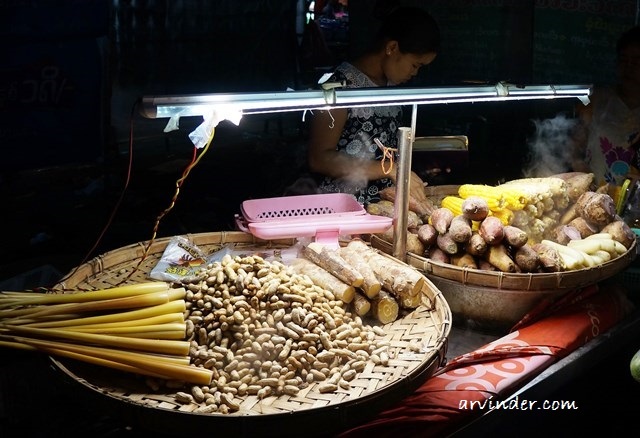 Why Street food, its the experience in a foreign country, its delicious and its cheap. 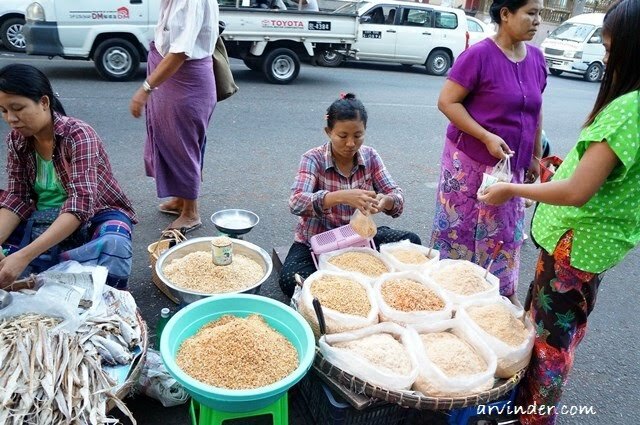 Street food is everywhere in Yangon, you can take a train or bus somewhere and there will be food vendors. I usually only eat cooked food, fresh off the grill or skillet in front of me. 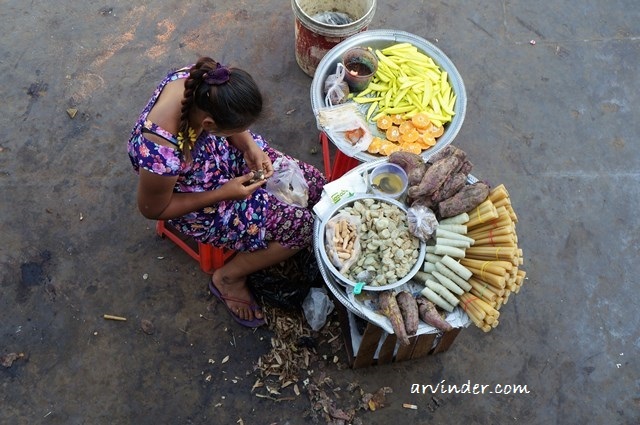 The other thing I buy off the street vendors is fresh fruits. 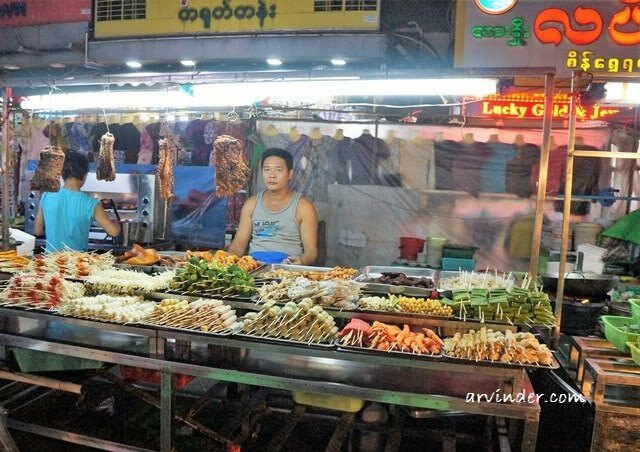 So after watching the sunset over Kandawgyi Lake in Yangon, headed to the famous street food Market in China town Yangon. 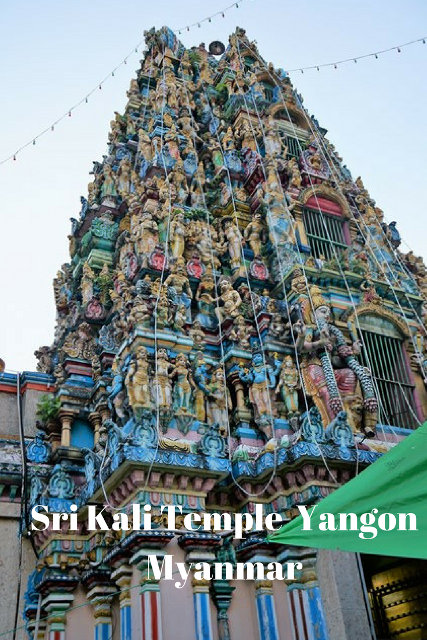 Picture to the right is a Hindu Kali Temple, its located right near where China Town Yangon Starts. 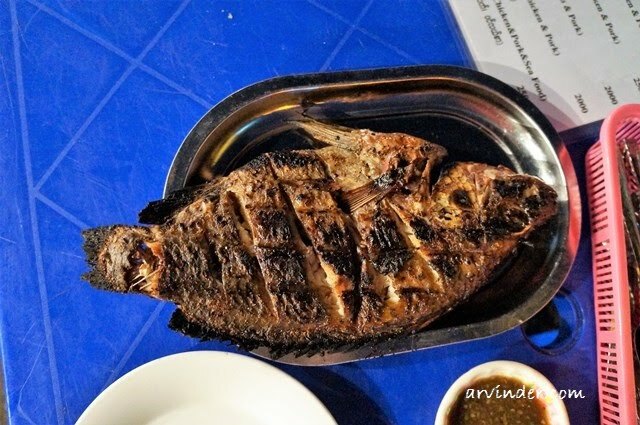 Best Place for some grilled fish in China town Yangon, 19th street Area. ts not a typical China Town, the area is filled with street food vendors. They start selling food later in the evening towards dinner time. 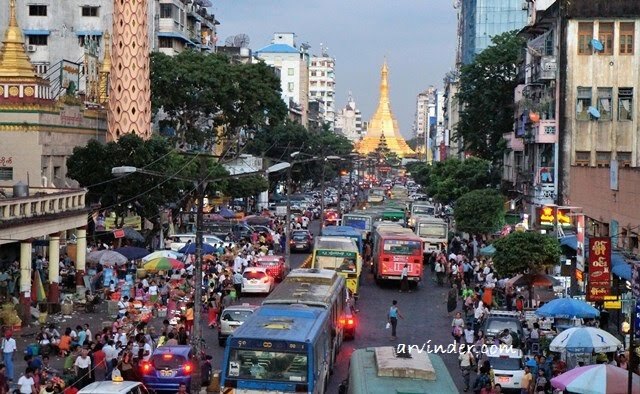 China Town Yangon can be very crowded in the evenings. 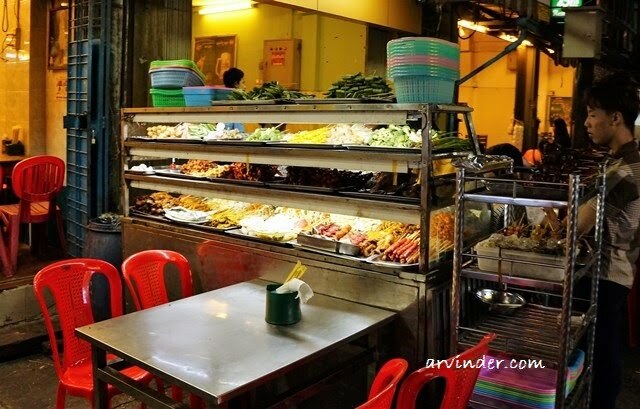 Now This is street food so don't expect a table with white table cloth. There are several BBQ places, food cooked over charcoal fire, in that heat no bacteria is going to survive. So I gave seafood a try, I quit eating meat a while back, fish I eat sometimes. 4 dollars US for the fish and around 2 dollars for a 750 ml of beer bottle. Delicious. I took my time eating, watching the hustle and bustle and enjoying my evening. I bought a pack of the citrus fruit from that lady on 2 different days, November 2016 was hot and fruits will hydrate you. It was only about 3 USD for a peeled pack. Above This was another fruit I bought from a street fruit vendor near Scott market, the person selling me said it was very healthy fruit to eat, I took their word for it. Don/t know what its called, if someone knows do leave me a comment below. 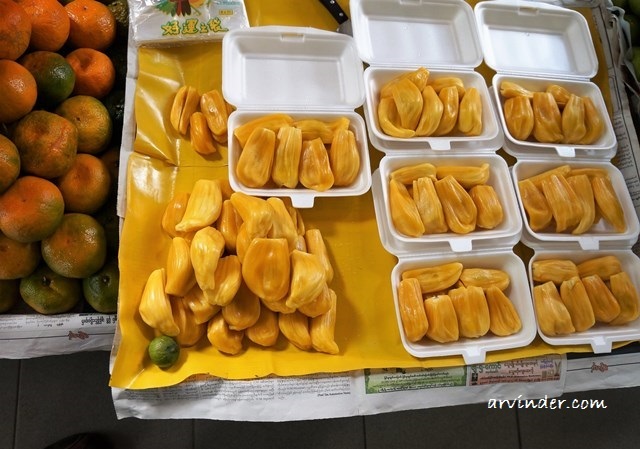 Arvin, this is Jackfruit. 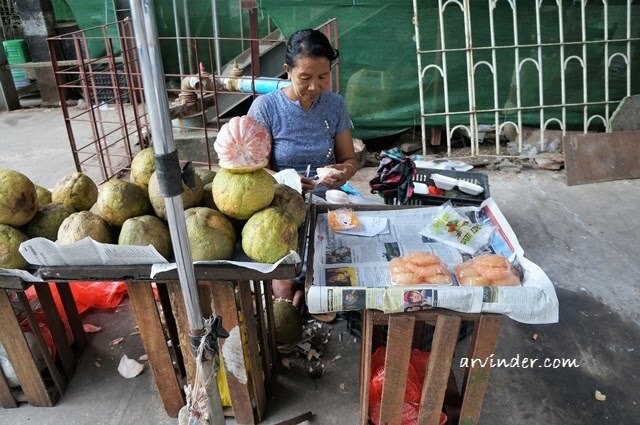 It's also abundant in Thailand where we live. Thank you for your article. Tried most of them on my trip to Yangon. And agree with you. Super yummy food. And the jackfruit was definitely delicious.